Motor is a device which convert electrical energy into mechanical energy. This mechanical energy then can be supplied to various types of loads such as pumps, fans etc. The motors can operate on DC power supply as well as AC. power supply. The motor is operating on DC. Supply such a motor is called DC motors while the motor is operating on AC supply such are called AC. motors. AC supply is commonly available for all domestic applications that’s why AC motors are very popularly used in practice. The AC motors are classified as single and three phase induction motors, synchronous motors and some special type of motors such as stepper motor, reluctance motor etc. Out of these types, three phase induction motors are widely used for various industrial applications. The motors works under principle of Faraday’s law of electromagnetic induction. The law stats that, the current carrying conductor is kept in magnetic field which experience force. The direction of force can be found through Fleming left hand rule. The important advantages of three phase induction motors are self-starting property, no need of starting device, higher power factor, good type speed regulation and robust construction. The working principle of three phase induction motors is based on the production of rotating magnetic field. The rotating magnetic field can be defined as the field or flux having constant amplitude but whose axis is continuously rotating in a plane with the certain speed. So if the arrangement is made to rotate a permanent magnet, then the resulting field is a rotating magnetic field. 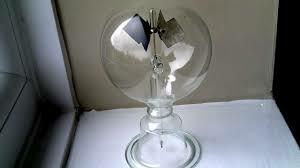 But in this method, it is necessary to rotate a magnet physically to produce rotating magnetic field. But in three phase induction motors such a rotating field is produced by supplying currents to a stationery winding, with the help of three phase AC supply. The current carrying windings produce the magnetic field or flux. And due to interaction of three fluxes produced due to three phase supply, resultant flux has a constant magnitude and its axis rotating in space, without physically rotating the windings. This type of field is called rotating magnetic field. In general purpose in shops, offices, schools etc. single phase AC supply is commonly used, therefore in that place we cannot use DC motor. So that, the motors which work on single phase AC supply are very Popularly in use. These AC motors are called single phase AC motors. But the power rating of such motors is very small. Some of them are even fractional power typically less than 100 Watts example Fans, single phase dewatering pump etc. A DC motor in simple words is a device that converts electrical energy (direct current system) into mechanical energy. DC motors are reversible; you can use them motor as well as generator. It consists of armature circuit, field circuit and Commutation circuit. All the motors are used in Variable-speed operation for many applications. In variable-speed operation, WRIM (Wound-rotor induction motor) is used in slip-energy recovery and double-fed induction-machine applications. Mostly single-phase for domestic applications and three-phase for industrial application. DC motors are reversible; you can run as generator as well as motor.